Ambassador Roderick Moore today suspended his functions as Supervisor for Brčko District, in line with the decision he announced following consultations with the Peace Implementation Council Steering Board on May 23, 2012.  Supervision of Brcko District has been in place since 14 February 1997. The Supervisor has sent a letter to all households in Brcko explaining that, as of today, he does not intend to intervene in the work of the District, nor will he issue binding orders or mediate solutions. He also announced that the Final Award Office in Brčko has closed as of today. The Supervisor emphasized that it is now up to the District’s authorities to assume full responsibility for governance in the District. “Democratically-elected Brcanke and Brcaci – not appointed foreigners – will assume full responsibility for governing the District," he stated. The Supervisor underscores that the International Community recognises that the people of the District continue to face many challenges – including poverty, unemployment, corruption, and many others — but that it also believes that the District’s institutions now have the capacity to address these challenges on their own. Supervisor Moore called on citizens of Brcko to demand from their public officials that they govern honestly, transparently, and in the interest of the whole community. Before suspending his functions, the Supervisor today issued an Order transferring to the District the right to interpret and amend certain legal acts resulting from orders issued by previous Supervisors. This technical measure ensures that there will be no legal vacuum following the suspension. Supervisor of Brcko, Dr Raffi Gregorian, has issued today three Supervisory Orders that harmonise the District Statute and District legislation with Amendment I to the Constitution of Bosnia and Herzegovina, and with the High Representative’s decisions of September 18, 2009, amending Entity and State legislation on citizenship. One of these orders amends the Statute of Brcko District and the District Law on Courts so that they reflect Amendment I to the Constitution of Bosnia and Herzegovina that was adopted in March of this year by the Parliamentary Assembly of Bosnia and Herzegovina. The amendments will further improve the effectiveness and functionality of the Brcko District Courts as well as ensure the protection of the interests, status and powers of Brcko District through effective court procedures after Supervision has ended. The two other Orders amend the Statute and the Supervisory Order of August 4, 2006 that declared the Inter-Entity Boundary Line to be of no further legal significance within the District by allowing applicability in Brcko District of the entity laws on citizenship in line with the High Representative’s decisions of September 18, 2009 amending State and Entity legislation on citizenship. Those decisions established a mechanism allowing District residents to change their entity citizenship, as called for in Paragraph 1 of the August 18, 1999 Annex to Final Award. The Supervisor is of the opinion that there is now a complete and modern legal framework on citizenship in place that serves the interests of all District residents. The implementation of this legal framework in an equal and non-discriminatory manner depends yet on Republika Srpska’s enactment of the High Representative’s decisions. Supervisor of Brcko District Dr. Raffi Gregorian warmly welcomed today the adoption of Amendment 1 to the BiH Constitution adding Brcko District to the BiH Constitution. He also welcomed the swearing-in of the new Brcko District Government. “By adopting the amendment and appointing the Government, important requirements have been satisfied for determining that District institutions are functioning ‘effectively and apparently permanently,’” said Gregorian. “These steps now allow me to focus on resolving the various administrative and legal tasks necessary to complete Supervision in line with the process laid out in the Final Award.” . The constitutional amendment on Brcko District adopted by BiH Parliament makrs an important step in implementing the binding arbitration required under Annex 2 of Dayton for resolving the dispute between the entities over the Brcko area. The Final Award of the Arbitral Tribunal was issued in March 1999. The amendment adds Brcko District to the BiH Constitution, as defined by the Tribunal’s awards, and provides the District effective, direct access to the Constitutional Court, while ensuring that no party can change the status or powers of the District as defined by the Arbitral Awards. The new Brcko District Government was sworn in today before the District Assembly. Members of the Government committed themselves solemnly to uphold the Constitution and the laws of Bosnia and Herzegovina, the awards of the Brcko Arbitral Tribunal, the Statute and the laws of Brcko District and to protect the interests of the District and the equality and freedom of all people within the Brcko District. “This District Government has gotten off to a good start, albeit a late one”, the Supervisor said today. “I expect it to take full responsibility for the welfare of all Brcko’s citizens”. Brcko Supervisor Dr Raffi Gregorian today issued a Supervisory Order regulating the conduct of religious education and the employment status of teachers of religion in Brcko District public schools in line with freedom of religion and other State-level obligations.. The Order recallsthat Bosnia and Herzegovina is a secular state comprised of three Constituent Peoples and Others and that the Constitution guarantees freedom of thought, conscience and religion as fundamental rights but does not establish an official religion or religions of Bosnia and Herzegovina. The Order acknowledges the agreements that Bosnia and Herzegovina has concluded with the Holy See and the Serb Orthodox Church. The Supervisor is of the opinion that the education related provisions of these agreements should, in the absence of a similar agreement with the Islamic community, by analogy also apply to teachers and classes of the Islamic religion in Brcko District. Supervisor Gregorian expressed gratitude to the leaders of the three major faith groups in Brcko District for bringing to his attention, both personally and in writing, the need to better define the status of religious instructors and education in the District’s public schools, and that such definition should lead to improvements in the provision of voluntary religious instruction. By his Order, teachers of religion will henceforth be able to obtain indefinite-term contracts, and have the same status, rights and obligations, including the professional qualification requirements, as any other teacher under Brcko District laws. Supervisor Gregorian expressed his confidence that religious communities and teachers of religion are committed to promoting and fostering the multi-ethnic character of the District and aware of their responsibility to educate pupils to accept and respect all religions and non-believers in the spirit of tolerance and conciliation. Nevertheless, the Supervisor expressed concerns over a tendency that has emerged in Bosnia and Herzegovina generally, and in Brcko District specifically, whereby religious instruction classes as a voluntary subject in public schools have increasingly taken on the character of an obligatory subject, as noted by the near one hundred percent attendance rate in such voluntary classes in Brcko District public schools. Moreover, by providing taxpayer funds and making available free-of-charge District public school premises for the purposes of religious instruction for only certain faith groups, the current arrangements for voluntary religious instruction risk imparting to those certain faith groups characteristics of official religions to the exclusion and detriment of other faith groups or non-believers in a manner that may be discriminatory and thus subject to legal and constitutional challenges and call into question freedom of religion and conscience in Brcko District. “The existing arrangements for voluntary religious instruction must not create a financial and political dependency relationship between government and faith groups that could then lead to eventual subjugation of one to the other, to the ultimate detriment of both,” the Supervisor said. Therefore, the Order emphasizes that religious classes in schools will continue to be on a voluntary basis, subject to the express free will of parents or legal guardians of pupils and encourages offering of suitable secular subjects as an elective alternative to religious instruction. Until such an alternative is offered, religious instruction classes can only be held either as the first or last period of the academic day. Brcko Supervisor Dr. Raffi Gregorian today issued a Supervisory Order amending the Statute of Brcko District aimed at improving the effectiveness and functionality of the Brcko District Assembly, with special emphasis on encouraging inter-ethnic cooperation. Through the same Order, the Supervisor also enacted new Rules of Procedure for the District Assembly as well as a new Election Law of Brcko District harmonized with the Statute and the recently amended BiH Election Law. Today’s measures update the legal framework for the Assembly from one originally designed for an appointed body to one appropriate for an elected body that will be able to function effectively after Supervision. As such they complement steps taken in February 2007 to improve the functionality of the Government. The amended Statute institutes a mechanism that prevents outvoting of a constituent people in the Assembly, establishes a more efficient system of voting in the Assembly, and provides for representation of national minorities by the addition of two seats to the Assembly. In order to prevent outvoting of a constituent people in the Assembly, decisions on certain specified subjects will require an affirmative vote of at least one-third of Councilors from each constituent people present and voting. These subjects are listed in the Statute and include issues of religion, culture, education, language, budget, spatial planning, national holidays, and monuments. To promote more efficient decision-making, from now on voting on many issues will be determined on the basis of Councilors present and voting, with only justified absences being able to delay decision-making on issues subject to outvoting protection. These provisions will serve to encourage Councilors to attend sessions while minimizing prospects for blockages of decision-making by non-attendance or improper use of abstentions. The measures introduced today have been under consideration ever since the Government reform measures were introduced last year. The Supervisor and his staff carefully analyzed and considered all possible options based upon their consultations with the Assembly Speaker, Deputy Speaker, Assembly Heads of Caucuses, as well as with the Mayor and the Deputy Mayor. Since there was general consensus on the need for these actions, the Supervisor decided to act now in order to ensure a comprehensive solution would be in place by the time elections are officially announced on May 8, so that candidates would have absolute clarity about the roles and responsibilities they would have if elected to the Assembly in October. He also wanted to give as much time as possible for representatives of national minorities to organize themselves to run for the two new Assembly seats. Brcko Supervisor Raffi Gregorian welcomed the Brcko District Assembly’s adoption of the Law on Real Estate Tax, the Law on Amendments to the Criminal Procedure Code, and the Brcko District Urban Development Plan. The amendments to the Criminal Procedure Code bring District legislation in line with state-level legislation and the High Representative’s Decision of 9 July 2007. The Law on Real Estate Tax establishes the first post-war real estate tax system in Bosnia and Herzegovina and is a major step towards harmonisation of tax laws with EU standards and regulations. It will also allow the elimination of numerous nuisance taxes and fees. Adoption of the Urban Development Plan will facilitate the further development of the District as part of reforms to spatial, urban, and regulatory planning. "All three pieces of legislation are significant in their own right," Supervisor Gregorian said, expressing special gratitude to USAID for its assistance in developing the Brcko District Law on Real Estate Tax. The High Representative and EU Special Representative asked the entity parliaments and the Brcko District Assembly to make the changes to the Criminal Procedure Code ten days ago when imposing amendments to state-level legislation. The RSNA has already adopted the necessary amendments to Criminal Procedure Code. Only the Federation Parliament has to follow suit. 1. Although the history of this post-Award proceeding is complex, it may be briefly summarized as follows. By letter dated 4 April, 2005, the then High Representative of Bosnia and Herzegovina wrote to the Presiding Arbitrator asking in effect that the Tribunal assist him by stating its “considered views” on certain legal issues as to the respective legal powers of the two Bosnian Entities (the Federation of Bosnia and Herzegovina and Republika Srpska) and the Brcko District as established pursuant to the Tribunal’s Final Award. The Presiding Arbitrator’s response was to decline, as a matter of procedure, to opine on any such subjects without first hearing the views (as to both process and substance) of those most immediately affected, particularly the two Entities and the Brcko District. Thereafter the High Representative acquiesced, at least initially, in the Presiding Arbitrator’s procedural suggestions, and the interested parties were given an opportunity to present their views. 2. 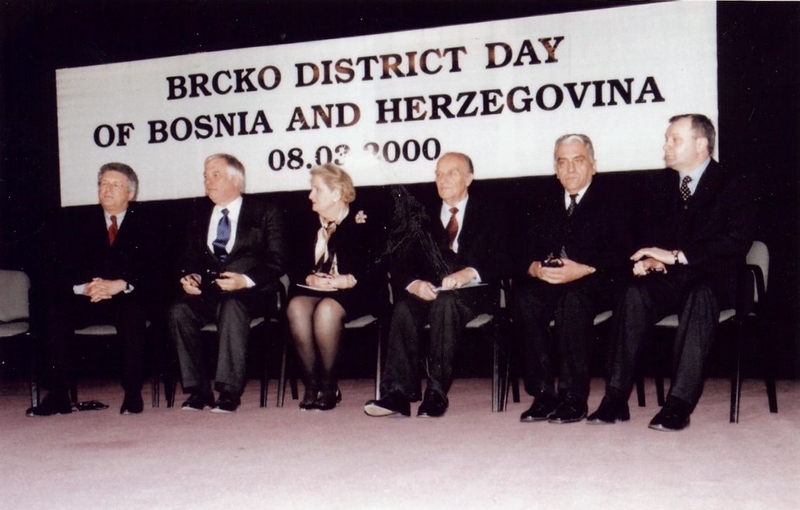 During the foregoing process the Brcko District presented a formal claim to the effect (a) that on 5 December 2003, when the two Entities purported to transfer to the State of Bosnia and Herzegovina (“BiH”) all powers, including the District’s powers, with respect to the collection and allocation of indirect tax revenues, that attempt to deprive the District of taxation powers without its consent constituted “serious non-compliance” with the Tribunal’s Final Award, and (b) that the claim thus fell within the Tribunal’s retained jurisdiction under the Final Award to hear and adjudicate such claims of “serious non-compliance.” In factual terms the District’s claim in essence was that after purporting, without the District’s consent, to place all indirect taxation powers in the hands of the State (including those indirect taxation powers previously delegated by the Entities to the District pursuant to the Final Award), the Entities then arranged matters in such a way as to allocate to themselves indirect tax revenues to which the District was entitled under the Final Award. Thus, in one sense at least, the dispute ultimately came down to a matter of money, with the District claiming that the Entities were taking money that lawfully belonged to the District. In due course the views of all interested parties (including OHR, the two Entities, and the Brcko District) were presented to the Tribunal in a series of written briefs, the last of which were presented in late April, 2007. 3. During the foregoing briefing process the High Representative apparently decided to deal directly with the possibility of financial inequities in the allocation of past indirect tax revenues as between the Entities and the District. He evidently conducted discussions and negotiations involving the three, and on 4 May, 2007, he issued three documents — two Decisions and an accompanying “Fact Sheet” — which together have the effect of establishing, with the District’s apparent consent, a new arrangement for allocating indirect tax revenues among the Entities and the District. The OHR Fact Sheet appears to acknowledge not only the District’s legal status under the Final Award and its right to collect indirect tax revenues (the Fact Sheet, 1st paragraph) but also the fact that the District has received less than its proper share of indirect tax revenues in the past (the Fact Sheet, 4th paragraph). 4. The High Representative’s documents of 4 May, 2007 represent that the Brcko District has consented to — indeed, is “in favor of” — the new allocation arrangements as ordered by the High Representative. In substance, it would seem, the District’s grievance, as expressed in its pending claim, has been settled to the District’s satisfaction — a result that must, of course, be welcomed by the Tribunal. Accordingly, on 22 May, 2007, the Tribunal notified all interested parties that unless some written objection were received within thirty (30) days the Tribunal would issue an order dismissing the District’s pending claim of “significant non-compliance” and would include in the order “such comments as may be necessary for an understanding of the dismissal.” Since no interested party submitted any objection to these proposed actions within the prescribed 30-day period, the Tribunal hereby approves the settlement arrangements set forth in the documents of 4 May, 2007, dismisses the defined District claim, and terminates the pending proceeding. 5. In the interest of avoiding future unnecessary controversy, however, the Tribunal feels obliged to make clear that its endorsement of the High Representative’s settlement arrangements does not constitute approval of one specific legal assumption that seems to be implicit in the operative OHR documents. Specifically, the 3rd paragraph of the two OHR Decisions implies that under the Final Award, if and when the two entities should transfer to the State their own powers with respect to indirect taxation (as the Entities did in fact on 5 December, 2003), that action would automatically take away from the Brcko District its equivalent powers with respect to indirect taxation, thus giving the State sole control of such taxation. See also the suggestion in the 1st paragraph of the OHR Fact Sheet that the automatic legal result of the Entities’ actions of 5 December, 2003, was that “Brcko lost” all of its authority with respect to indirect taxation. Lest these statements be taken as a correct understanding of the intent of the Final Award, however, the Tribunal feels obliged to express an important caveat as to the legal impact of a two-Entity transfer of power to the State without an equivalent transfer by, or the consent of, the Brcko District. The caveat is as follows: So long as the Entities continue to exist under the BiH Constitution, any purported two-Entity transfer to the State, made without an equivalent transfer by, or the consent of, the Brcko District, would be contrary to and illegal under the Final Award if that transfer had the effect of significantly diminishing the District’s ability to function as a single, unitary, multi-ethnic, democratic government for the Brcko Opstina. For example, if the purported transfer resulted in significantly reducing the multi-ethnicity of an existing Brcko institution (for example, the police, the schools, the judiciary), it would violate the Final Award. With that caveat, however, the Tribunal approves the settlement arranged by the High Representative. The Supervisor of Brcko, Raffi Gregorian, today has issued a Supervisory Order amending the Statute of Brcko District. The Statute currently in force is now out of date in a number of ways. It does not reflect a number of recent changes to the District administration, in particular the reform of public administration and creation of new District institutions. Some of the changes necessary to the Statute of Brcko District cannot be made by the Assembly, and must be made by the Supervisor. Other changes require a three-fourths majority of councillors. Due to the complex and extensive nature of changes necessary, this majority is unlikely to be achieved within the remaining time during which Brcko District will be subject to Supervision. The changes to the Statute are to improve the performance in functioning of the Government. The Mayor and Heads of Department must function as a body. These changes are necessary for efficient functioning of the District’s institutions after Supervision has been terminated. The amendments have been finalised after extensive consultations with the Mayor, the Deputy Mayor, Assembly members representing all three constituent people, and members of the Brcko District Judicial Commission. This Supervisory Order also requires working groups appointed by the Mayor to immediately start preparing amendments to a number of laws that are inconsistent with the revised Statute. No later that 1 May 2007 the Mayor will provide the Supervisor’s office with these laws for approval; they will then be enacted as laws of Brcko District by further Supervisory Order. Brcko Supervisor Susan Johnson has issued a Supervisory Order abolishing the application of Entity legislation in Brcko District and declaring the IEBL to be of no further legal significance in the District. The Order stems from the Final Arbitral Award, which anticipates the abolition of the legal significance of the IEBL in Brcko District and charges the District and the Supervisor to ensure that this is done, in effect requiring replacement of Entity legislation applicable in the District with District legislation that applies on both sides of the IEBL. The Order states that all laws of the Federation and the RS and of any constituent institution of either of the Entities will immediately cease to have legal effect in Brcko District. Until such time as new District legislation is enacted to replace repealed Entity legislation, existing District, State and Socialist Republic of Bosnia and Herzegovina laws applicable in the District are sufficient to regulate the spheres of activity covered by Entity legislation that this Order will repeal. Entity laws listed in the Annex to the Supervisory Order will be taken over immediately as laws of Brcko District and will apply throughout the District. These laws will remain in force until amended or repealed by the Brcko District Assembly. The Brcko Legal Reform Office (BLRO) has completed its mandate and will close on 31 December 2003. The BLRO is the successor office to the Brcko Law Revision Commission (BLRC), which was established in June 1999 within the mandate of the Brcko Arbitration Final Award. Under the auspices of OHR Brcko the BLRC drafted reform legislation, and developed and implemented the means to establish a single independent judicial system for the Brcko District. OHR determined in October 2001 that the primary functions of the BLRC had been substantially fulfilled and the BLRO, as the successor office was then primarily dedicated to the assistance and training of the Brcko Judiciary. Numerous training opportunities have been made available to the District judges and prosecutors in several countries in Europe and in the United States. The judicial Branch in the District has rapidly developed, with an unusually well qualified group of judges and lawyers. The Brcko District Judiciary has advanced professionally to the point where a full-time office for support is no longer necessary. The BLRO will close with the assurance that the judiciary is functioning independently and is able to ensure that fair and accessible justice is available to all, regardless of ethnicity or nationality, through basic principles of transparency and accountability. The Acting Supervisor of Brcko, Gerhard Sontheim, today announced that the Reconstruction and Return Task Force of OHR Brcko (RRTF) will close on 31 December 2003. Effective 1 January 2004, authority and responsibility for reconstruction and return will rest exclusively with the Brcko District authorities. The Reconstruction and Return Task Force was established in April 1997, at a time when the property returns situation in the District was discouraging, with over 10,500 abandoned properties, and 24,000 displaced persons who had arrived in the District from other parts of BiH. More than 9,800 of these properties were destroyed. At the time, returns issues were the responsibility of three largely dysfunctional mono-ethnic housing offices based in Brcko, Brka and Ravne Brcko. The RRTF facilitated the founding of the Brcko Multiethnic Housing Commission in October 1999 as an interim institution prior to the establishment of the Sub-division of DPs, Refugees and Housing Issues within the Government of the Brcko District in October 2000. The Sub-Division was made into a separate Government Department in March 2001. The RRTF worked closely with the Department of DPs, Refugees and Housing Issues to pass the District Law on Return of Abandoned Properties in April 2001, and to adopt some necessary amendments to that law in July 2002. All of the 10,500 property return claims which have been submitted have now been resolved, and full implementation is scheduled for the end of November 2003. Acting Supervisor Sontheim thanks all those organizations which have provided assistance to property reconstruction in the District: the Dutch, Norwegian, Japanese and Saudi governments, the European Commission, SFOR, USAID, and the US Bureau for Population and Refugee Movement.. He also expresses his appreciation for the support from the RS Government, the Federation Government and Tuzla Canton. The Acting Supervisor is grateful to the de-mining project donors who have supported safe returns and economic development, including the Greek Government, the US Office of Humanitarian Demining Programs, the US Department of Agriculture, the EU and the International Trust Fund. First, a program to reconstruct some 1,700 devastated properties. Fourth, support returns for those displaced persons in Brcko who wish to return to the Federation. OHR is satisfied with the fact that the District now participates in the work of the BiH State Commission for Returns as a voting member. The District Government and OHR Brcko will meet with the State Commission for Returns in November this year, and will discuss concrete return projects. After months of drafting and consulting with experts, a draft of the Brcko District Election Law was presented to the Assembly on June 5, 2003, and adopted on September 19, with one important amendment. The law is fully compatible with the Election Law of Bosnia and Herzegovina. Elections are scheduled to take place in Brcko at the same time as municipal elections throughout Bosnia and Herzegovina, in October 2004. Eligibility to vote in Brcko follows exactly the same rules as the rest of Bosnia and Herzegovina, and seats in the Brcko Assembly will be won in the election in much the same way as in the municipalities, cantons and entities. All permanent residents of the District can vote, whether they are currently living in the District or not. The District was not subject to the Constitutional Court decision requiring minimum representation of national groups in Entity parliaments – Brcko’s three major groups are large enough to be represented without it. Nevertheless, in a gesture of their desire to include the smallest group, the Croats, the Brcko Assembly amended the draft law to include a provision for a minimum representation of three seats (out of 29) for each of the three national groups. This compares, for example, to the minimum representation of four seats in the much larger assemblies of Republika Srpska or the Federation. The Croats have seven seats in the Interim Assembly, which was appointed by the Supervisor in 2000. Since then, there has been no part of the District that is unsafe for returnees, and no legal obstacles of any kind. 95% of useable properties have actually been returned, and reconstruction (including infrastructure) has been managed on a non-discriminatory basis. Many Croats have found employment outside the District, in BiH or in Croatia, and have not returned. Although it is not known how many District voters are Croats, the political parties assume that Croats could expect to win about four seats if elections were held now. The Croat delegates walked out of the Assembly before the vote, in a demonstration that they could not accept less than a minimum guaranteed representation of six seats. This was not acceptable to the other groups, who believed this would cause their own voters to be underrepresented. Bosniaks, Serbs, and the Supervisor have all said they would welcome larger numbers of Croats in the elected Assembly, but the Croat parties must persuade more eligible Croats to register and vote. The Supervisor has appealed to the BiH Election Commission for its help in ensuring that eligible voters outside the District have every chance to vote. In the end, a democratic parliament must reflect the composition of the electorate – those who vote. Represenatives of the Office for Defense Co-operation (ODC) from the U.S. Embassy in Sarajevo visited Brcko District of BiH today, for a tour of projects completed with ODC donations. The chief of ODC Major David Galles visited the Brcko Economic School and the First Primary School, and met with the head of the District Government Education Department, Mr. Esad Atic, and OHR Brcko Deputy Head of Office, Mr. Gerhard Sontheim. In the year 2002, ODC funded a project comprising two parts: reconstruction of the First Primary School and reconstruction of the Economic School. The value of the project was 400,000 KM. “I am glad that the United States Government could help out in rebuilding these schools. What has been done here in Brcko as far as integration is a shining example for all of Bosnia. When one sees projects like these, it really shows a sense of accomplishment, not only for the students of Brcko District, but also for Bosnia. It is great to see that we could put the needs of the children first,” said Major Galles. Major Galles announced that the Office for Defense Cooperation is currently looking into possibilities to support future projects in Brcko District. During the past three years ODC funded five projects in the Brcko District, in schools and the hospital. The total value of these investments was 850,000 KM. These projects were selected and implemented in co-ordination with the OHR Brcko. Arizona Market is a real market town. It provides a great variety of goods to the northern part of Bosnia-Herzegovina at low prices – which is why so many people come here to shop. What it needs is the infrastructure and government services of a real town. That is the important part of what we are saying today. We are inviting the private businessmen to join with the Brcko District Government to design and build better facilities for the shopkeepers here – with more space for traffic, with police and fire protection, with water, sewage and drainage. This is not an easy job. It will take months of planning and negotiating to put all the parts of this job together. We need the skills and business judgment of the private sector. During this period, Brcko District planning for better Government services will continue to move forward. There are still some people talking about “closing” Arizona Market. This is nonsense. 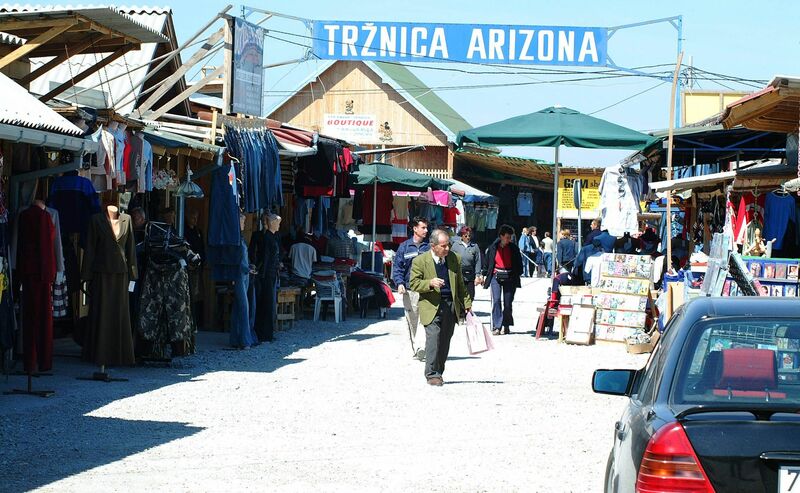 Arizona Market will be developed further, it will become an even better place to shop, and it will be a part of the future of Bosnia and Herzegovina. sovereignty of Bosnia and Herzegovina. divisions of the past and move to a common future. Brcko, February 17, 2001 – As a further step in regulating the Arizona Market’s legal status within the authority of the Brcko District Government and in furtherance of the Supervisory Order dated November 16, 2000 on Arizona Market, the Supervisor of Brcko District Ambassador Gary L. Matthews issues the Supervisory Order on the Use of Land in the Arizona Market. The Order aims at restoring the Government’s control over land in the Brcko District and in particular in the area of Arizona Market. Currently, land in this area which is designated by law only for agricultural purposes, is illegally used for commercial purposes. In accordance with the Order, the public companies Posavina-Brcko and Posavina-Brka shall cease their operations involving use of land in the Arizona Market immediately. The Government will safeguard the companies’ assets and, within 45 days, develop a plan for their dismantling. The Government will, within the same deadline, review all contracts on the use of agricultural land in Arizona and repudiate those that are found to be illegal. The Order was issued in accordance with the powers of the Supervisor provided in the Final Award and the statement issued by the International Community on October 26, 2000 empowering the Supervisor to take all necessary measures in order to regulate the Arizona Market by June 2001. The authorities in both Entities and the Brcko District, including their respective police forces, support strong and sustained action to bring the Arizona Market into a legal and strictly regulated status. For more information, please, contact OHR North Public Affairs Officer Suzana Pejcic at 049-205-666. 1. The Brcko District of Bosnia and Herzegovina shall be created, as further specified in the Order of the Supervisor and Deputy High Representative for Brcko dated March 8, 2000 and the Statute of the Brcko District of Bosnia and Herzegovina (hereinafter "the Statute"). 2. The Statute shall forthwith be published in the Official Gazette of Bosnia and Herzegovina and the Official Gazettes of the Entities. Upon the establishment of the Official Gazette of the Brcko District, the Statute shall also be published in that medium. 3. Bosnia and Herzegovina and the Entities, shall take all necessary measures to effectuate the establishment of the Brcko District of Bosnia and Herzegovina and to enable full development of the governmental functions of the District, including the fulfillment of their financial obligations, as specified in the Final Award. Done at Sarajevo, on the 8th day of March 2000. The final version of the Annex to the Brcko Award was issued today, marking an end to nearly four years of arbitration over this most difficult of issues. The High Representative considers the Final Award, issued in March, and now the final version of the Annex, to be both balanced and just. There are no winners or losers: all can live in and benefit from the Brcko District. The governments of both the RS and the Federation provided substantive and useful contributions to the Annex, which deals with the implementation details of the March award. The Arbitrator, Roberts Owen, has indicated that he accepted most of the proposals. The only exceptions were in cases where it was deemed more appropriate for those proposals to be dealt with in the District Statute, or where the proposal was inconsistent with the overall District plan. Other international organizations in BiH, including OHR and OSCE, also provided suggestions based on their experience and knowledge of the country. The Supervisor, Ambassador Bill Farrand, has been working since March to develop a coordinated strategy for the implementation of the Award. Principal Deputy High Representative Ralph Johnson and Supervisor Bill Farrand will host a special press conference at 1100 at the CIPIC tomorrow, 19 August.